Blush by Hayley Paige. The Blush by Hayley Paige bridal collection is characterized by casual elegance and femininity. Soft tulle, unique lace, and delicate tones create a feel of whimsy and romance within each design. As the sister line to the original Hayley Paige bridal collection, the Blush by Hayley Paige line will make your wedding dreams come true with their stunning collection. At The Bridal Boutique’s Edmonton and Calgary locations, we hold a large variety of designs by Blush by Hayley Paige. Many of our brides have fallen in love with the gorgeous line because it offers elegant femininity that is characterized by soft tulle, delicate lace, and sweet tones. Blush by Hayley Paige aims to create a romantic and whimsical feel to your dream wedding dress. The designs are playful, yet chic with the designer’s unparalleled approach and detail to every single piece made! Hayley Paige, the designer was raised in California and honed her creative craft in Europe. As such, Blush by Hayley Paige has strong influences from Californian aesthetics with a dramatic European flair. Made for the care-free bride that wants to accentuate her modern and girlish style, designs from Blush by Hayley Paige aim to please the fresh and vibrant bride that wants a unique style to charm everyone around her. Each dress has an exceptional design with special attention to subtle details, beautiful fabrics, and modern silhouettes. The Blush by Hayley Paige bride knows her style and is sure about her own distinctive and chic sense of taste. Her dress will reflect her confidence and charm – truly allowing her one-of-a-kind look to radiate throughout her special day. If you are looking for that vibrant, lively, and slightly sassy vibe for your dress, Blush by Hayley Paige may be just the right fit for you. 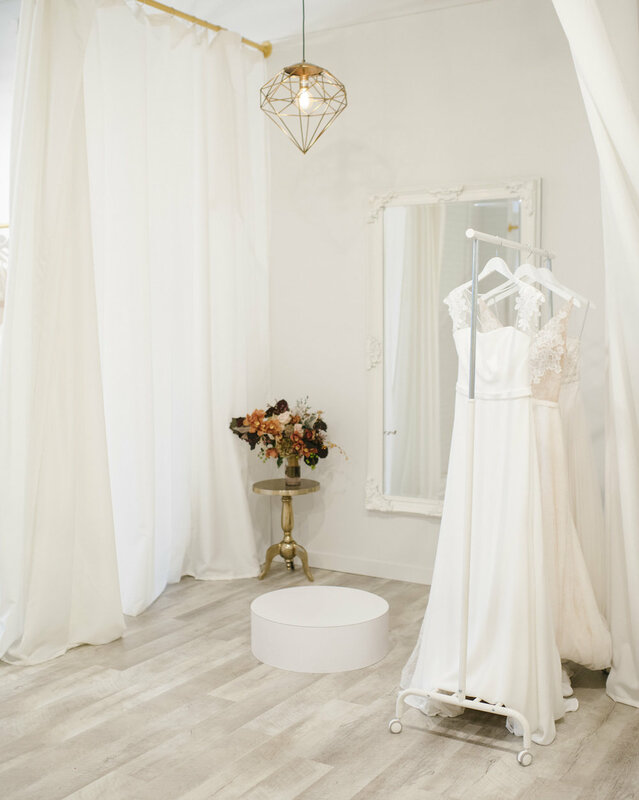 At The Wedding Boutique, our wedding experts at our two locations in Calgary and Edmonton will be more than excited to help you find the perfect outfit.